Shirley Walker was the nicest lady I ever had the good fortune to meet in Hollywood. She was always smiling, and reminded me of “grandmother” from the fairy tales – she looked like she could bake the best cookies, and was always so warm and kind to everyone she encountered. But beneath her matronly demeanor was a darkness that would come out in her music. She wrote the most ballsy, masculine, orchestral action music heard in Hollywood in the late 1990s, and one of her big action scores was never officially released – until now. 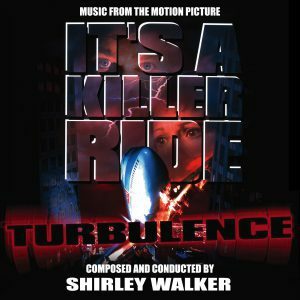 Turbulence contains the darkest rendition of the already-ominous “Carol of the Bells”, and is a non-stop ride of tension, action, and emotional thrills. Released originally by Rysher Entertainment, the rights for the film now reside with Paramount, which is how we were able to do this album. We got the DATs from Walker’s archive, lovingly maintained by her son Ian, and after transferring them, the album assembly was elementary – Shirley had pretty much laid everything out already, so the work was very straightforward. There weren’t any unused tracks or alternates to provide for the album, but there were three versions of the “End Credits”, of varying lengths, which were not used in the final film; the end credits in the film just repeated an earlier cue. I picked the best (i.e. longest) of the three end credit suites, and we’ve included that as a bonus track. Artwork, on the other hand, was a bit more tricky. We didn’t have a clean version of the key art, and due to the limited resources that Rysher had handed over to Paramount, we had half color, and half B&W photos to pick from. 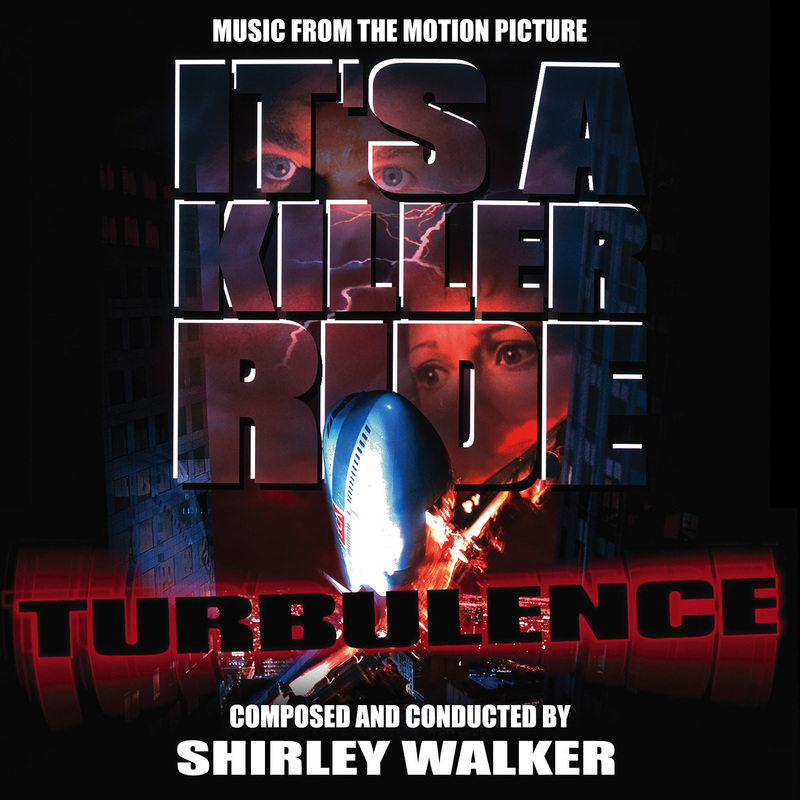 In the end, the decision was made to keep the “It’s a Killer Ride” tagline that was part of the embedded artwork. It might not be the best film – but the score for Turbulence is something I’m very proud to have worked on, and I hope you pick it up from La-La Land Records!